Natural Pearls – Gemstones found in the sea. Oyster divers go to the surface of the ocean to find the natural gems. Cultured Pearls – Created using a pearl farming technique. They are still 100% real pearls, yet less rare than their natural counterparts. After many, many years of diving for pearls, divers have made natural pearls so rare; some say they are close to becoming extinct. Therefore, they are hard to find on the ocean’s surface these days. 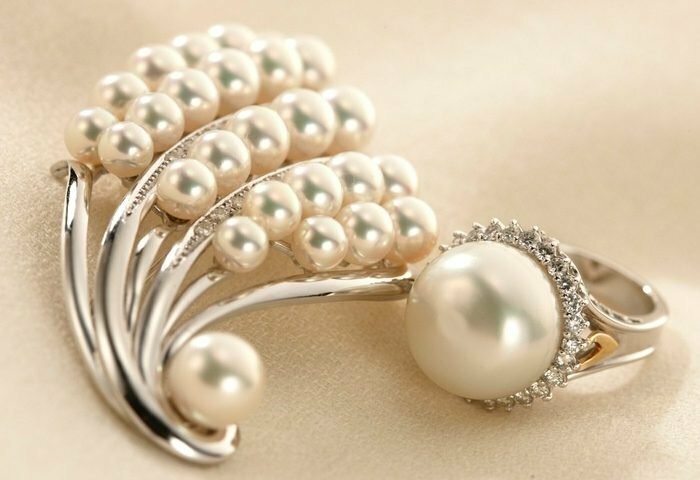 Because of this rarity, natural pearls are generally much more expensive than cultured pearls. So, how much are pearls worth? Well, no one factor can determine that. It takes a combination of multiple factors to determine the worth of a pearl. FACT: The most expensive pearl in the world was discovered by a Filipino fisherman in the seas of the Palawan Island, measuring no less than 26 inches. The gigantic pearl is now valued at $100 Million. Hanadama pearls are some of the most lustrous gems of the sea in the world. Ideal for special occasions or as anniversary gifts, these utterly radiant pearls master the look of glamorous, yet sophisticated chicness. South Sea pearls are considered the most valuable. They are also the largest pearl variety on the market. A strand of South Sea pearls can range from $1,000 to over $100,000. Cultured White South Sea Pearls AND Golden South Sea Pearls are the largest gemstones on the cultured market, making them both rare and very valuable. FACT: South Sea pearls come in a wide range of colors, with the most expensive ones being the ones in gold hues. Often large, these pearls’ color is completely natural, produced by the oyster Pinctada maxima. 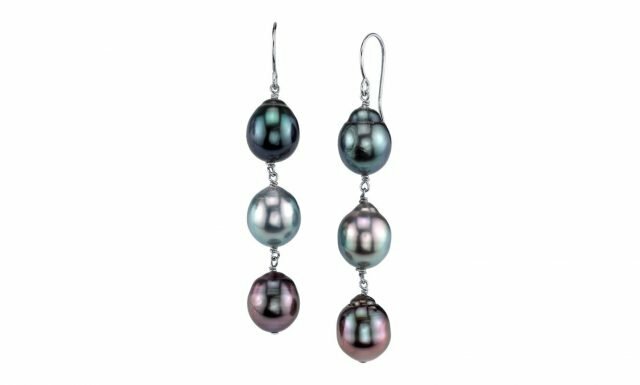 Tahitian pearls are exotic, with dark colors. Depending on their size and quality, a strand of Tahitian pearls can cost from $500 to more than $25,000. These magnificent beauties come in a variety of qualities and pearl sizes, as well as some of the most stunning pearl colors. 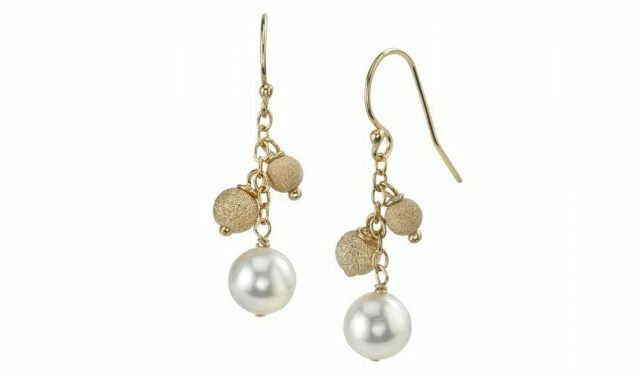 Japanese Akoya Pearl Stardust Earrings from The Pearl Source. Click here to view. Akoya pearls are the classic round, white pearls. They were the first pearls ever to be farmed, and are a little bit smaller. A strand of Akoya pearls can cost from $300 to more than $10,000. Generally, these are the smallest type of cultured pearl on the market. They were the very first to be cultivated on a pearl farm. Freshwater pearls come in a huge range of shapes and sizes and colors. Round freshwater pearls look almost identical to Akoya pearls but are less expensive, with a strand ranging from $50 to $2,000. They are versatile gemstones that are cultivated in freshwater, as opposed to sea or saltwater. 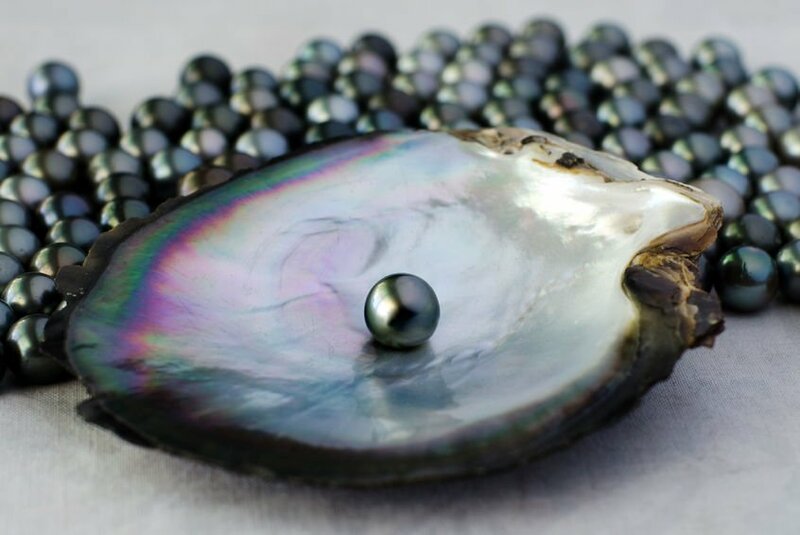 FACT: Freshwater pearls come from mussels, while Akoya pearls are produced by oysters. Pearl farms surgically implant each mussel with a tiny piece of mantle tissue – and in response, the mussel begins secreting nacre, which later forms the pearl. Freshwater pearls feature exceptional quality at consumer-friendly price points. 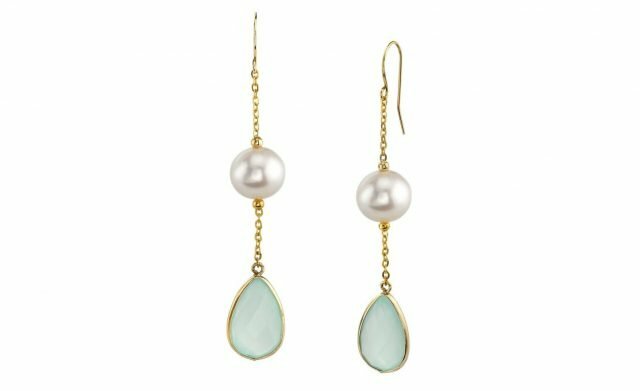 Whether you’re looking for an elegant piece of jewelry to wear every day around town OR need something for a special occasion where you want to look your best, freshwater pearl jewelry is a great choice that won’t put a deep hole in your wallet. While some pearl types are certainly more valuable than others, the value of pearl jewelry also depends on the type of pearl jewelry. 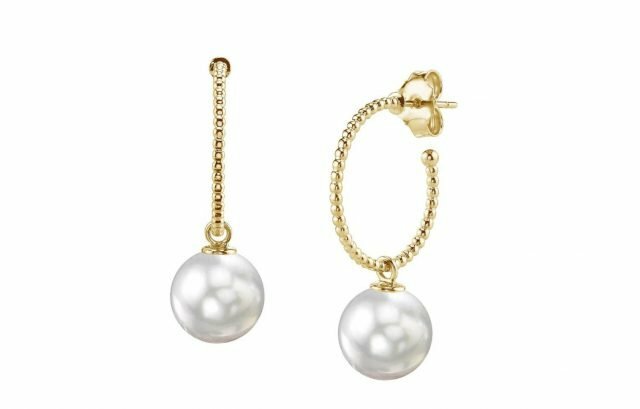 Pearl earrings typically feature only two pearls and hence are more inexpensive. Pearl necklaces, on the other hand, feature many more pearls, but the number of pearls can vary based on the length of the necklace. If your heart really desires ultra-premium Handama pearls, for example, but your budget doesn’t allow for a long rope, consider other Handama pieces such as earrings, chokers, and bracelets that use fewer pearls and are still extremely dazzling. Pearls tend to hold their value fairly well. The highest quality pearls are quite durable, which is why vintage pearl jewelry continues to be worth a lot of money today. If you invest in pearl jewelry, you will be able to pass it along to future generations in your family, and it can be a beautiful and valuable heirloom piece. While the prices of pearls can sometimes seem overwhelming, you do not need to spend tens of thousands of dollars to have a piece that you will treasure for decades. 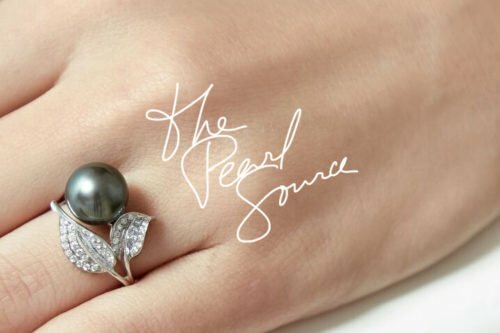 The Pearl Source provides pearls at many different price points. Shorter strands of pearls cost less than longer strands – even if they are the same quality. This means you may be able to afford a beautiful, high-quality pearl choker even if a pearl rope is far out of your budget. You’ll find that your pearls are a great investment, no matter how much you spend on them. The Value of Pearls: Are Pearls a Smart Financial Investment? When given the proper care, pearls can retain their value for a lifetime. The higher the quality, the more durable the gemstone. That means when you buy pearls, you’re investing in jewelry that can become family heirlooms for you to pass down to younger generations. 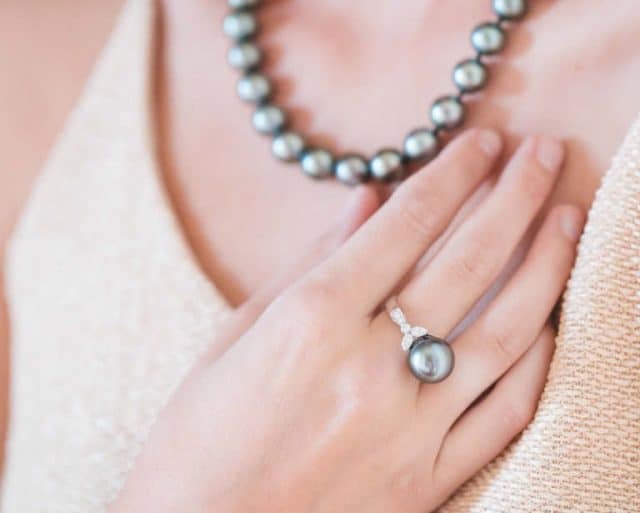 Start off with simple pieces, then work your way up to more expensive pearl jewelry, such as pearl statement pieces, pearl cocktail rings, and bold pearl necklaces. It’s a lifelong investment you won’t regret.